The differences between RNs with an ADN degree and RNs with a BSN degree have been the subject of an ongoing debate that has lasted for years. Putting aside the extra cost and time it takes to finish a bachelor’s program, with the clear benefits that the degree offers such as higher nursing positions and better pay, choosing the right nursing qualifications has been a matter of choice. However, things are changing, with new legislature pushing for BSN-educated nurses. Owning a Bachelor of Science in Nursing degree has unquestionable advantages, although, at the moment, not all registered nurses have obtained their qualifications through a BSN. Nurses who finish an associate’s degree program and have passed the licensure exam can practice their dream job in healthcare facilities, but all signs indicate that this is a temporary situation. Will a BSN be Mandatory for Nurses? The intent of making BSN qualifications mandatory for nurses is not by any means a new one, as it has been pushed since 1964. Everything indicates that, at one point, BSN education will be a mandatory requirement for nurses in healthcare settings. Getting a BSN degree gives you a leg up in the job market. However, this is not going to happen overnight. One has to take into account the current landscape and needs of healthcare facilities. At the moment, there is a national shortage of nursing personnel, which is predicted to only get more significant in the near future. The National Nursing Workforce Study shows that 50% of U.S. RNs are 50 years old and older, and the Health Resources and Services Administration predicts that within the next 10 to 15 years, more than one million registered nurses will be retiring. This climate is rushing healthcare facilities to employ more nurses faster, rather than just picking BSN-educated nurses. But there’s a catch: There has to exist a clear plan of raising the percentage of BSN-educated nurses in the future. 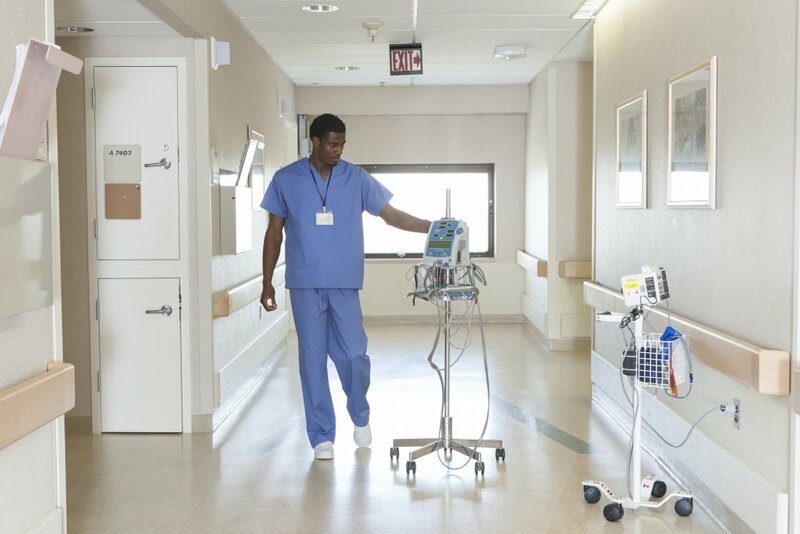 The American Association of Colleges of Nursing (AACN) emphasizes that hospitals hoping to earn Magnet status must provide proof of plans to increase their BSN workforce to 80% by 2020. Additionally, several large national healthcare organizations already have plans in place to promote and increase their BSN-educated nurses, according to rn.com. What is the BSN in 10 Law? But this type of bill should not be a surprise. The whole process has begun back in 1964 when the American Nurses Association House of Delegates first adopted a motion supporting baccalaureate education. This was followed by a position paper in 1965 in which they declared that a BSN should be the educational foundation for registered nurse education, which was reconfirmed in 2000. This is what has lead to a new 2017 bill that, at the moment, is only adopted by New York. And, as is the case with any new legislature, many questions, concerns, and fears followed, making this a controversy and splitting nurses from all over the U.S. into two camps: supporters and opposers. Who does the BSN in 10 law affect? The purpose of the bill is to expand the education of RNs, while still maintaining multiple entry points into the profession, following the example of other countries that already have the baccalaureate as an entry requirement into the profession. This legislature is applicable to all future nurses who want to practice nursing but have not yet started their studies at the time the law was adopted. Nurses can expand their nursing skills and knowledge by following an RN to BSN program. Obviously, the law was not received with open arms by everyone, as some nurses do not wish, or do not have the means and time to pursue an advanced degree. For these reasons, there is a need for further information on why a BSN is beneficial and what financial options are available. Find out why you should get a BSN degree. Why is the BSN in 10 law important? BSN education is designed to improve analytical and critical thinking skills. According to The American Association of Colleges of Nursing (AACN), the educational preparation of BSN nurses also includes Community Education, Communication, Nurse Management and Leadership, Patient Education, Clinical, Scientific, Decision Making, and Humanistic Skills, or even Patient Psychology, which have shown to lead to better patient outcome and reduced patient mortality. Studies have shown that in hospitals with higher proportions of nurses educated at the baccalaureate level or higher, surgical patients experienced lower mortality and failure-to-rescue rates. BSN education has been linked to better patient outcome. This information has not gone unnoticed and has had a great impact on the decision to adopt the BSN in ten law. Why the push for BSN nurses? The BSN in 10 law encourages continuous learning. In a field that is constantly evolving and growing, the ability to adapt and grow professionally has a huge impact. Higher education among nurses has already proven to save lives, but it also has an effect on a personal level. AACN also cited studies that found a much higher job satisfaction among BSN-certified nurses. Nurse leaders have already recognized the importance of a BSN, both in performing their jobs, as well as when it comes to their feelings towards their jobs, which is exactly why nurses and other medical staff in management roles support and pushes for the bill. Expanding your nursing studies will pay off in job satisfaction. According to nursinglicensure.org, dozens of other state nursing organizations and nursing schools have voiced support for the BSN in 10, claiming that the law’s goal of a better-prepared nursing workforce is in both the nurses’ and patients’ best interests. Does any other state have a law like New York’s ‘BSN in 10’? At the moment, there is no other state that has a clear law in this regard, but several states are still planning to implement similar bills. Even in New York, the legislation took 14 years to be passed. States like Rhode Island and New Jersey have put forth BSN in 10 bills as well and have been working on them for as long as New York, but they have still not passed. Other states have also been trying to outline similar legislature ever since the Institute of Medicine recommended, back in 2010, that 80% of registered nurses should earn a BSN degree by the year 2020. But given the current national shortage of nurses, it’s a safe bet that some time has to pass until the other states will adopt it, depending on the climate of each state. For example, North Dakota had a similar law that was passed in 1987, according to which licensure was awarded only to BSN trained nurses. However, the law was scrapped in 2003 because of a drastic shortage of nurses. The need for nursing to have a higher education was also addressed by the Institute of Medicine (IOM) that, in 2010, made a public push in favor of BSN education, stating that 80% of all RNs worldwide should obtain a BSN qualification by 2020. However, this was just a recommendation and is not to be confused with the law. Why do Hospitals prefer BSN Nurses? There is also the suggestion that hospitals that want to achieve the Magnet status – a title given by the American Nurses Credentialing Center to recognize healthcare facilities for nursing excellence – should make sure that at least 80% of their nursing staff holds a BSN degree. At the moment, to qualify for the Magnet status, 100% of a hospital’s nurse managers must have a BSN degree. What are the RN Mandatory Requirements by State? Even though there is a clear push towards a BSN degree, it is generally still possible to have an entry into the nursing profession with an associate in nursing degree, however, each state may have variations when it comes to practice requirements. Also, if you obtain your licensure in a certain state, but want to practice somewhere else, it is important to check to see if your license is recognized, or if you need to take extra steps to get a new license. The minimum degree accepted is of an associate’s level; however, the job market looks a bit different. To encourage BSN education, nurses who have a bachelor’s degree or higher are prioritized during the hiring process, so an ADN does not guarantee you a job. According to Nurse Journal, there are currently some 7,519 registered nurses in the state, of which only 10.3% are Advanced Practice Registered Nurses (APRNs), a title that requires at least a master’s degree. Given the low number of nurses with higher education in Alaska, the need for more specialized personnel is imminent. The minimum education for nurses is an associate’s degree, according to The Arizona State Board of Nursing. If you want to become a registered nurse in this state, you need to enroll in a board-approved program at the associate, diploma or baccalaureate level. A BSN will facilitate entry into a specialized position, where there is an obvious shortage of professionals. RNs in Arkansas need to follow either an ADN or BSN program and pass their licensure examination. However, nurses who have obtained their degrees in other states can also obtain Arkansas licensure by endorsement or equivalency. In case nurses have obtained licensure from a compact state, their license will be valid and they can practice the profession without obtaining a new one. The Bureau of Labor Statistics shows that in Arkansas there are 24,380 nurses, and the annual mean wage is around $60,780, which is on the lower spectrum. Associate Degree in Nursing (ADN) – Offered at many community colleges. Bachelor of Science in Nursing (BSN) – Also referred to as baccalaureate degree, offered at many California state universities and some private colleges. Entry-Level Masters Program in Nursing (ELM) – Designed for adults who have a baccalaureate degree in another field and wish to become registered nurses. Graduates receive a master’s degree. LVN 30 Unit Option – No degree is granted upon completion. Most other states do not recognize California’s LVN 30 Unit Option and will not issue RN licenses to these LVNs, but most ADN programs will give LVNs credit for some of the coursework they completed. Military Corpsmen – California law permits military corpsmen to take the national exam for RN licensure if they have completed an RN-level education and required clinical experiences. It’s good to know that California offers so many opportunities to become an RN, as this is also the state with the highest salaries for RNs, according to BLS. Take a look at how California compares to the other states when it comes to salaries from our RN salary by state study. The Colorado Government Department of Regulatory Agencies states that an associate- or baccalaureate-level degree is a minimum qualifier for an RN career path. However, in this state, there are a number of multi-exit programs. 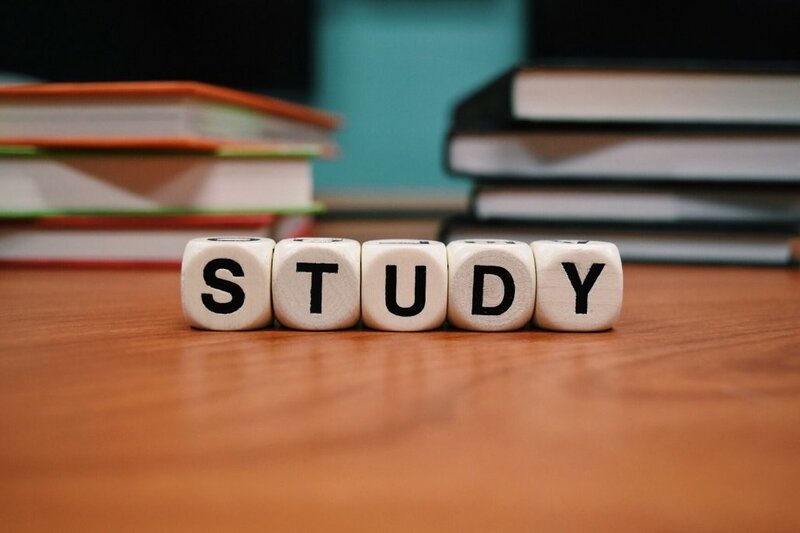 These give you the option of taking the practical nursing licensing examination after a year and ending your studies or completing a second year of coursework and getting an associate degree and an opportunity to take the RN examination. Both ADN and BSN graduates are eligible for the same license, but BSN graduates have a clear hiring advantage. Make sure your qualifications meet your dream job. A typical ADN or BSN can help you get your RN license. Connecticut also offers an alternative route. 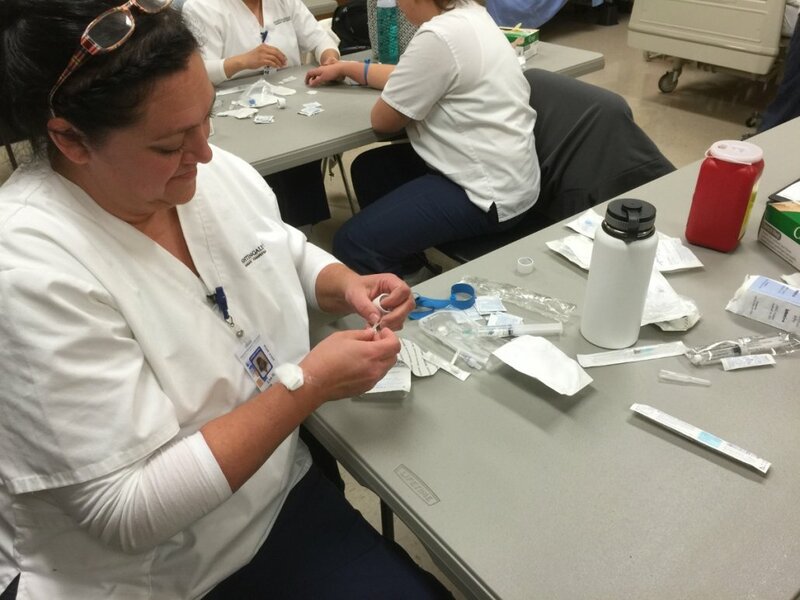 The Connecticut Department of Public Health shows that attending a program through a licensed hospital (Chapter 368V of the state Statutes) can lead to a diploma in nursing, which brings nurses closer to the RN licensure. That diploma, together with a few more requirements (depending on the specific program), allows nurses to take the RN licensure examination. The Department of Regulatory Agency’s Board of Nursing shows that there are currently 64,057 RNs with active licenses and 8,557 PNs. You can practice nursing in Delaware with a diploma, but most nursing jobs available require at least an associate level degree or a BSN, which are universally accepted as more appropriate. This state also has one of the highest concentrations of jobs, with an average annual salary of over $74,800, so it’s definitely worth planning the next steps to advance your education if you wish to work as an RN in Delaware. Florida has one of the highest employment levels of nurses with 178,330 nurses already working here, meaning that a shortage of nurses is not necessarily an issue. This makes the job market more competitive, and although an ADN is legally sufficient to practice as a nurse, a BSN helps you stay in the running for the job. The good news is that despite the high number of nurses already working here, around 12,786 positions for new and replacement RNs have opened in 2018, and most of these in hospitals in cities like Miami, Tampa, and Orlando, shows nursingprocess.org. Once again, the minimum requirement to be a nurse in Georgia is an associate degree or higher. However, the job occupation here is on the higher side, so a BSN degree would give you a competitive edge. When it comes to the available programs, some of them are nontraditional nursing programs, with separate requirements, for those who already have an LPN, are trained as a paramedic or have medical corpsman training in the military. An associate degree is the minimum acceptable degree for nurses and following graduation, you can become either a practical or registered nurse by taking the National Council Licensure Examination. Hawaii is almost a safe bet when it comes to prospective jobs. On the one hand, it has the second highest salary after California, with an annual mean of $98,080, according to official data. On the other hand, there are plenty of available jobs, which makes it the place to be for RNs. A two-year associate program or a four-year BSN program are the two options Idaho nurses have in order to be eligible for their RN licensure. However, there is a clear shortage of nurses in this state. With an average salary of $67,110, below the national average for RN’s, there are only 13,320 nurses currently employed in Idaho, so there are plenty of job opportunities. There are three types of nurses in Illinois: LPNs, RNs, APRNs. To become an RN, you need to follow either an ADN or a baccalaureate program. In Indiana, in two or three years you can get the minimum associate level qualifications to become an RN, including theoretical classes and fieldwork. First-time licensees take the examination at an RN level, while nurses who have already passed an acceptable exam, can get licensed here through endorsement. Even though the employment level for nurses here is on the higher side, there are still plenty of job opportunities. The quickest way to become a nurse is by becoming an LPN, which is possible in only one year. However, if you’re aspiring to become a registered nurse, you have to invest at least two years in an associate level program, or four years for a bachelor’s program. The employment level is on the lower spectrum in Iowa, with a rather small average salary for nurses ( just $59,130 per year). On the bright side, the lower cost of living makes working here a contender. 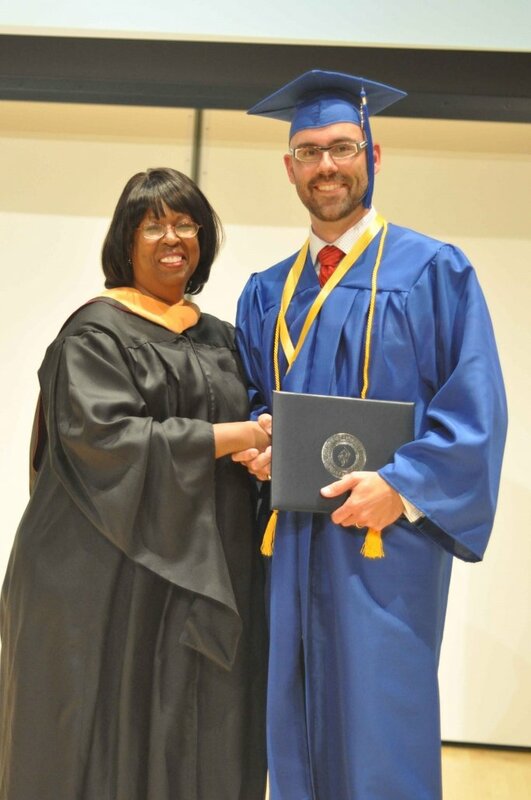 Unlike previous cases, Kansas RNs should hold a baccalaureate degree or higher to be able to practice in the state, shows the Kansas Board of Nursing’s Educational Requirements. However, if you do not hold a BSN degree, you can still practice nursing as an LPN. When it comes to job opportunities, the market is quite undersaturated, but the average salary is $61,030, well below the national average for RN’s viewed across all U.S. states ($75,510). An associate degree gained after two or three years of study, combined with a bit of practical experience is enough to qualify you for the RN licensure exam in Kentucky. But the average salary for an RN in Kentucky is also well below the U.S. average, at about$63,100. However, a BSN can increase that to $71,810, according to our nurse salaries study. The standard ADN and BSN programs are the gateways into entry-level registered nurse positions, however, an RN with an ADN background will earn below the U.S. average RN salary, while nurses with a BSN education will earn around $73,790. No matter which program you chose, during your first year (the only one for an LPN) you’ll learn basic patient care and basic nursing skills and knowledge. The second year (final one for ADN programs) you take more specialized courses and develop your skills and knowledge further. The third year, which only applies to BSN programs, comes with in-depth knowledge and skills and includes topics such as pharmaceutical research, public health policy, and radiology. An associate degree is enough to qualify you for the RN national examination in Maine, and there are plenty of positions available as the nursing jobs occupancy is low. An ADN-prepared RN can expect a salary above the national average, while the BSN-educated nurses can easily earn the average wage for RNs. The average (mean) nurse salary in Maine is at a national level is $67,610. The good news is that the median annual salary is above the national average in Maryland, while the employment level is average, with quite some room for new nurses to join the state’s workforce. Nurses can earn an RN license through a diploma, but further education is strongly recommended. An ADN, BSN, MSN or even a Ph.D. in Nursing are available in the state, so you can train to become a better nurse. The paycheck even justifies the effort. The average BSN nurse salary in Massachusetts is $109,560. Michigan demands a three-year program as training for future RNs, shows Michigan Department of Licensing and Regulatory Affairs, which is stricter than most states. However, Michigan also has a rather high level of employment, which makes the job market more competitive. When it comes to salaries, a BSN degree can earn you about $10,000 more per year. If your dream is to work as an RN in Minnesota, then a minimum of a baccalaureate education or higher is mandatory, as indicated by the Minnesota Board of Nursing, before you’re able to take the national licensure examination. But don’t get discouraged by the extra time and effort that you need to invest. All the additional work will be rewarded, as the RN salaries are above the national average. The standard rule of an associate’s degree or higher in order to qualify for the RN licensure applies in Mississippi as well. Despite the state having a large number of positions available for nurses, it also has a low average salary, more than $15,000 below the national average for RNs. Besides the usual associate’s degree, Missouri also allows between two and three years of hospital training, ended in receiving a diploma, as a minimum RN qualification, according to the Missouri Nurses Association. A great advantage of the hospital training is the extensive practical skills that nurses form during their training and, since Missouri is part of the compact states, the RN license is valid in all other compact states. Although the standard minimum associate’s degree is enough for RN licensure in Montana, the employment level throughout the state is quite high, which makes the job market more competitive. In this current climate, a BSN degree is more suitable if you don’t want to run the risk of being unemployed, not to mention the salary advantage that it brings. According to the Nebraska Department of Health and Human Services, a four-year accredited program is necessary in order to get your RN license. On the plus side, Nebraska is also part of the compact states, which means you can technically obtain your license in a state that requires the classic two-year associate’s program and still work in Nebraska. The state has a low number of employed nurses, which means securing a job as an RN in this state will not be difficult. An associate degree is enough to be able to qualify for your RN licensure, and there’s not much competition when it comes to jobs. The nursing shortage in Nevada is one of the worst with only 9,020 nurses currently working, according to BLS. This is despite the fact that the state has one of the biggest average salaries. Due to the extreme shortage, Nevada is currently pending legislation to become part of the compact states. Yet another state with an acute nursing staff shortage. New Hampshire offers access to the RN national examination after a two-year associate’s degree. Although a BSN education might be encouraged, the shortage keeps the minimum mandatory qualifications to an ADN program level. As an extra benefit, the state has an above average mean salary of $82,750. However, if you’re planning a long-term career in NJ, keep in mind that there has been a continuous effort to implement a BSN in 10 law here, so gear up to get your BSN degree. To become a registered nurse in New Mexico you need to first go through two years at an ADN program as a basic requirement, after which you can take the RN examination. Once again, the difference between a BSN or an ADN affects your salary as a nurse directly, as the diploma you hold makes the difference between being above the RN average salary or below it. At the moment, New York is the only state that has passed a BSN in 10 law. This means that you can gain entry into a nursing position after finishing your bachelor’s program, but it is not mandatory. You can also start with an associate degree, with the condition that in 10 years time you can finish an RN-to-BSN program to gain the extra skills and knowledge required to continue practicing in New York. The data shows that the average salary for a registered nurse in New York is $85,610, while the average BSN nurse salary in New York is $99,660. This is a significant extra incentive to take your studies further. Both an ADN or BSN are valid roads toward becoming a registered nurse in North Carolina. Although the salaries for RNs are not among the biggest in the country ($64,850 on average), the cost of living in the state is much lower. This, combined with the current shortage of nurses in the states, makes employment almost guaranteed. The basic associate degree can qualify you for a registered nurse position in North Dakota, but higher programs such as BSN or MSN are also available in the state. Also, the state is part of the compact states, so working across state borders is much easier. BLS shows that North Dakota has a low level of employment for nurses, which means that there’s not much competition on the job market, although you need to keep in mind that the mean salary is below the national average. North Dakota is also the only state that has had a clear law that made a BSN degree mandatory for any RNs who wanted to practice here, but that law was scrapped in 2003, precisely because of the shortage in nursing professionals. Although the average salary here is still below the national average, it is not among the lowest compared to other states. Nursinglicensure.org shows that an associate level degree is enough to become a registered nurse in Oklahoma. However, The Bureau of Labor Statistics points out OK has among the lowest salaries for nurses in the country, around an average of $63,080. To make sure you can lead a comfortable life in Oklahoma, with a salary that goes above $72,000, a BSN is a step worth taking. Of course, the higher the degree, the better the salary. When considering the paycheck, Oregon is one of the most desired states in which you can work, with salaries way above the national average: $91,080 for RNs without a BSN degree, and $101,990 for RNs with a BSN degree. 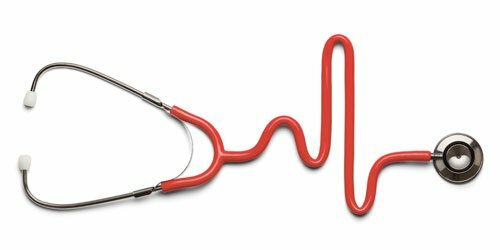 The minimum studies for a registered nurse in Pennsylvania is a two-year associate degree or higher. For aspiring RNs, there are plenty of in-state options at the diploma, associate, and baccalaureate level (nursinglicensure.org). Compared to other states, PA has a high level of employment, so the competition is a bit tighter, while the salary is a bit below the average, around $70,390. 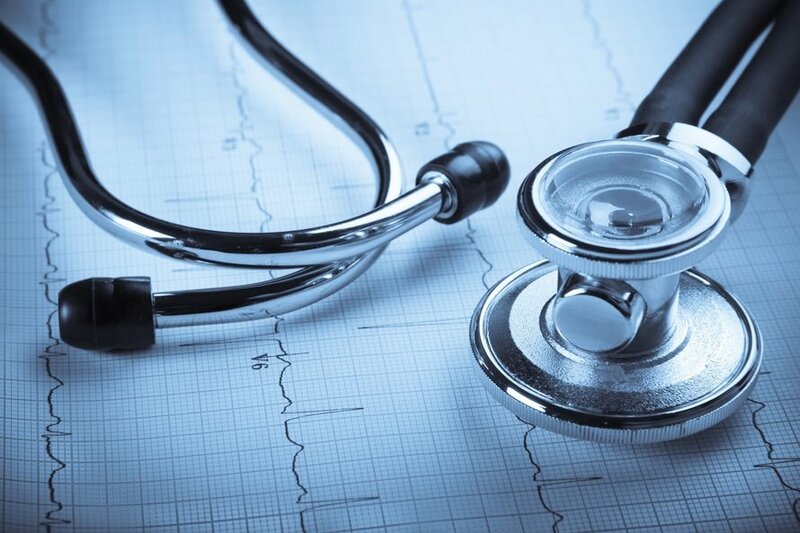 An associate degree or higher is also the minimum qualification for an RN in Rhode Island, although there has been a continuous effort to implement a BSN in 10 law in Rhode Island for years. This means that despite the fact that the minimum education required for RNs is an ADN, a BSN is actually the more sensible option long term. Rhode Island offers among the best job security for nurses, with wages above the national average and a low level of employment which indicated plenty of available jobs. In South Carolina, an aspiring nurse has to complete three to six months of entry-level prerequisite courses before applying to a university for a two-year ADN program or a four-year BSN program. But be aware that the entry into a university is competitive, so performing the prerequisites first becomes necessary, shows Nursing School Resource. South Carolina is not yet part of the compact states, although legislation is pending. An RN without a BSN can expect an average salary of $64,940. The standard two-year associate degree program is the minimum requirement for nurses in South Dakota, but there are also 4-year BSN programs available. Despite the average salary in SD being one of the lowest, the advantage of this state is that it’s also a member of the compact states and, according to nursinglicensure.org, a nurse with a multi-state license issued in South Dakota also has the privilege of practicing in other compact states through electronic/ remote means. Unfortunately, this is also one of the lowest paying states for nurses, but the cost of living is also on the lower side. Despite the lower wages compared to other states, the level of employment is not too bad, which gives the job market a bit of a competitive edge, so a BSN becomes a great way of improving your job security. Once you’ve completed one of the above programs, you qualify to take the National Council Licensure Examination (NCLEX). When it comes to job security and paycheck, the state of Texas has always been on the average level compared to the other states. In 2018, the average salary for a Registered Nurse in Texas was $72,890, which is slightly below the national average, but fluctuations are expected from year to year. It is possible to become an RN in Utah after a three period of hospital training education, but this comes at a risk, as some facilities might require an ADN, BSN or MSN education for a good nursing position, according to Nurse Journal. On the plus side, this state also offers quite a few jobs, as there is a significant shortage of nursing staff in hospitals. However, expect your wage to be below the average, especially if you don’t hold a BSN or MSN degree. Vermont has many options when it comes to RN education. You can follow an ADN, the minimum requested education for RNs, or climb even further in your career with a BSN or MSN program. The good news is that the job market is wide open. The Vermont Department of Labor projects that almost 400 jobs will be opening up each year. However, to qualify for an above average salary, a simple associate degree will not help, and further education will be necessary. In Virginia, RNs should have a high school education or GED, plus a degree or diploma from a professional, certified, nursing program, according to nursinglicensure.org. This qualifies as the minimum expertise level to be able to take the NCLEX-RN exam. Other options are a two-year ADN or a four-year BSN, which can lead you to a successful RN position, with decent pay and plenty of job prospects. Washington has an abundance of options when it comes to education. The lowest degree accepted to qualify for licensure in WA is an associate degree, but there are also several BSN and MSN programs that are worth looking into. The salary is also a great incentive, as the average is above the national mean salary, so there are plenty of growth opportunities in this state. The West Virginia RN Board requires an associate level degree as a minimum educational qualification for RNs before taking the licensure examination in West Virginia. It is mandatory to submit a fingerprint report and clear the drug and criminal background test. You should not be involved in any offensive or criminal activities. One should attain proficiency in the English language. Although the RN salaries in WV are on the lower level, there is quite a high level of employment. To get a job as a registered nurse in West Virginia, it is highly advised to get a BSN degree. A two-year associate degree program or a four-year bachelor’s program are also the options aspiring RNs have in Wisconsin. Nursing.org mentions that skills in areas like critical care, neonatology, midwifery, and geriatrics are in big demand and that predictions show a 15% increase in employment for registered nurses until 2026. Despite the fact that average salaries in WI ($71,470) are slightly below the national mean salary, the cost of living in this state is also lower than the average, which means that an RN salary actually goes a long way. Wyoming is one of the states highly affected by the nursing shortage phenomenon, as shown by BLS, meaning that the mandatory requirements for RN preparation go as low as an associate degree, with no change in sight in the near future. However, the pay scale for an RN is also far from being in the top percentile, so completing your studies with a BSN degree will help ensure a more comfortable lifestyle. Find out more about the nursing job demand by State! Despite the minimum requirements set individually by each state, all states already show favor to nurses who have a bachelor’s degree or higher when it comes to job perspectives. Not only does a BSN open more job opportunities, but it also offers more stability and a higher paycheck. Nursing is a field that is constantly evolving, which means nurses should always be evolving with it and enriching their skill set. Take a look at an RN to BSN program to improve your skills! Can I find out if the BSN in 10 legislation is pending in my state? Before choosing the nursing program that you want to attend, it’s a good idea to see if your state has any pending legislation similar to the BSN in 10 law. Find out the status of any bills that are underway by going to your state board of nursing for information. In certain states, it might be more suitable to start off your career directly with a BSN program, or for already licensed nurses, do an RN-to-BSN to make the most out of the opportunities available. What Percent of Nurses have a BSN & how many BSN Nurses are there in the U.S.? There are currently 2,906,840 registered nurses in the United States, according to BLS. Although there was a big push for the percentage of nurses with BSN to reach 80% by 2020, at the moment there is an estimate of 55 to 60% of nurses with a bachelor’s degree, shows nurse.org. Although things are progressing steadily. The percentage has only increased by 5-10% from 2010, when this recommendation was made by the Institute of Medicine. So whether the goal will be reached or not by 2020 is yet to be determined. With all the push and the advantage that a BSN degree brings, it is safe to say that at some point in the future this will be a definitive requirement for all aspiring nurses. Considering all the circumstances, this is not a matter of ‘”if.” However, given the current shortage in nursing staff, the “when” is rather unknown, as it is unlikely to happen in the very near future. But the truth is that you don’t need a law to tell you to get a BSN degree since bachelor studies have already proven to make you a better nurse, as well as offer you a more comfortable living. Enroll in a BSN program today!